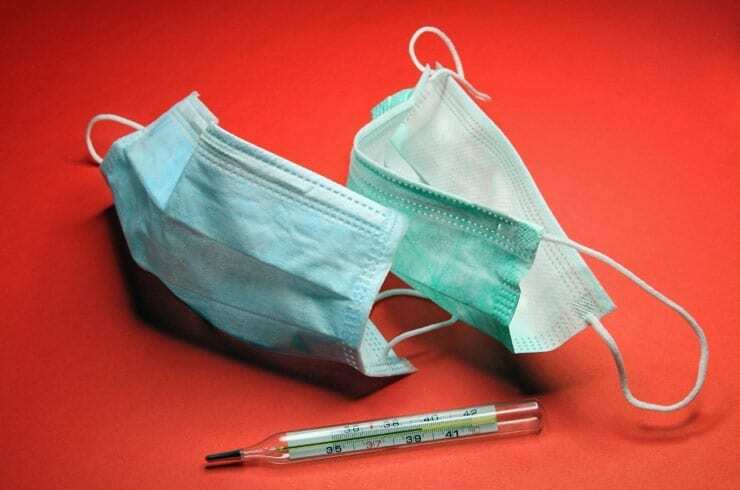 Five years ago this month, one of the first U.S. outbreaks of the H1N1 virus swept through the Washington State University campus, striking some 2,000 people. A university math and biology professor has used a trove of data gathered at the time to gain insight into how only a few infected people could launch the virus’s rapid spread across the university community. The fall 2009 semester hadn’t even started when the first cases came in to the university’s Health and Wellness Services clinic—11 one day, and just two days later, 47. Not two weeks later, doctors and nurses in the clinic saw 164 H1N1 patients, attending to a total of nearly 1,000 sick people, plus hundreds more by phone. They ran out of Tamiflu, an antiviral medication. The flu wasn’t as intense as feared. People felt awful for three or four days and were close to normal within a week. No one died. Still, WSU took on the national distinction of having one of the first and largest H1N1 outbreaks at an American college. The epidemic also gave Elissa Schwartz, an assistant professor of both math and biological sciences, an ideal phenomenon for scientific study. At the time, Schwartz was teaching students about the behavior of epidemics in a closed population. She had her students search the scientific literature looking for studies that tracked actual epidemics in closed populations, which have no movement in our out. They found very few. But they had a fairly closed population in Pullman, more specifically College Hill, where many students live, often in shared housing. When they do leave the house, they’re on campus, in close proximity to more people. With the exception of semester breaks and the occasional road trip, they rarely leave. To analyze the numbers, Schwartz used a computer model called FluTE, which can simulate the transmission of an influenza virus across a population and tease out things like how many became infected, how many carriers first had it and what strategies would make the biggest difference in containing its spread. Transmissibility is measured by the R0, or R naught, a term made somewhat popular in the movie “Contagion.” It’s the average number of people infected by one person in a fully susceptible population. Schwartz pegged the R naught for the Pullman outbreak at 2.2, meaning one infected person ended up passing his or her infection on to roughly two others. That’s close to the rate attributed to the massive 1918 flu pandemic, which killed more people than the bubonic plague. Schwartz’s analysis also suggests the outbreak was started by as few as 20 people initially infected by the virus. It’s a remarkably low number of people given the number of people who ultimately got sick. Finally, Schwartz wondered what strategy might have worked best to contain the outbreak, from vaccinations to isolation to quarantines, or all of the above. Sick people were asked to isolate themselves from others, but that is difficult, Schwartz said. A sick person can still share a bathroom with others. A quarantine would contain potentially exposed people, she said. But it would be difficult to carry out because it’s unclear how to define a sick person’s ‘nearest neighbors’ when many live in large shared houses such as fraternities, sororities or dormitories. “Our analysis does show, though it may sound obvious, that vaccination would be the best way to control these types of infections,” said Schwartz. Her study was published last year in the Journal of Biological Systems and she presented her findings in July at the Society for Mathematical Biology Annual Meeting in Osaka, Japan.